It's a shame you haven't fitted them correctly! My understanding is that the red dot is supposed to be aligned with the valve - but I stand to be corrected! I had simply aligned the red dot with mark for minimum runout on rim. Red takes presidence over yellow apparently. Info in above link provided by the false prophet advises to line up red dot (high point of tyre) with valve stem (point of max mass on rim). Not very smart in my humble opinion. 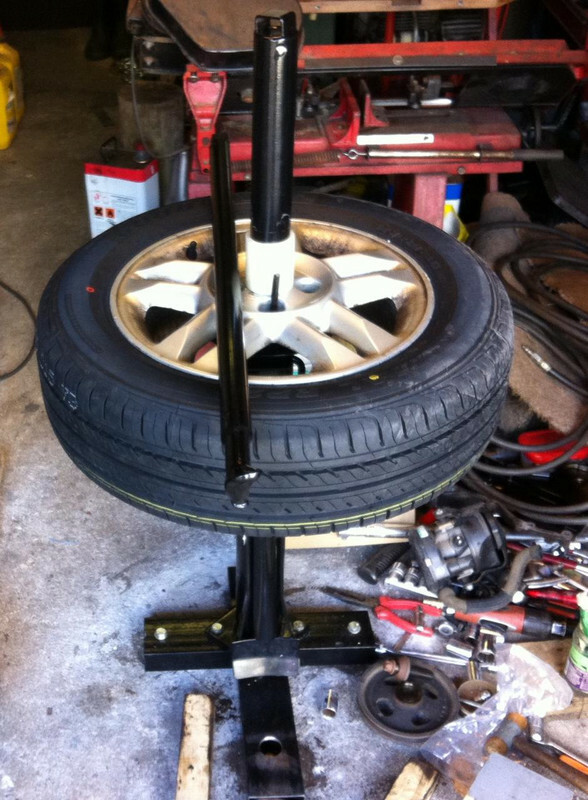 Tyre seen in photo of wheel on tyre changer is of the famous make Goodride. Wheel is for my Renault Kangoo Trekka. Both my Rotalla Setula tyres had no yellow, white, blue or red dot on them. Only an OK stamp placed in same position on each tyre so I can only conclude these Rotalla tyres are 100% perfect and uniform without any high or heavy points. Both needed less than 15 grams to get them in balance so I think that is proof enough. Rotalla Setula are quality China tyres for a reasonable price and better than Michelin and Continental judging by tyre labels. A wee note regarding my pair of tyres some of you condemn as bold and unsafe. I have successfully passed many MOTs on those and I would have kept them for another season had one not developed a hump. How very bold of it to develop a hump before it was bald. Only an OK stamp placed in same position on each tyre . I would have kept them for another season had one not developed a hump.